Adnan Virk has a new gig. The former ESPN personality ousted after being accused of leaking confidential company information is now reportedly working for DAZN. The New York Post reports that Virk will host a new baseball show for the subscription sports stream service headed by former ESPN president John Skipper. Skipper left the network in 2017, citing a struggle with cocaine addiction and an extortion plot by someone from whom he bought drugs. Virk was a rising star at the network who called baseball games, hosted “Baseball Tonight” and made regular appearances on ESPN’s radio network. The Post reported in February that ESPN accused Virk of leaking information to sports media site Awful Announcing about the network’s plans to not bring “Baseball Tonight” back on a nightly basis this season. The network fired Virk when he refused to cooperate in an investigation over the leak, according to the report. Virk denied the accusations in a statement to the Post. 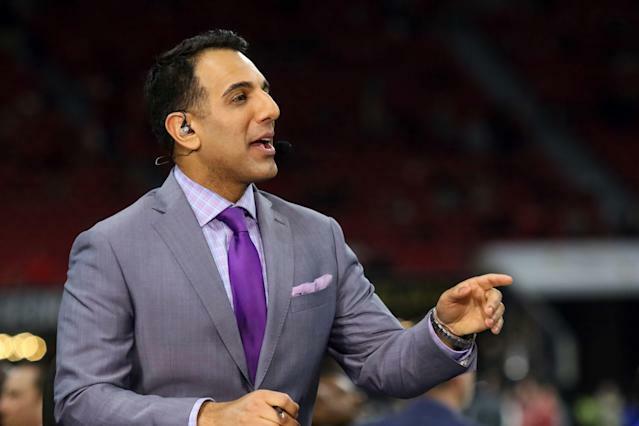 Virk has opted to not pursue legal action against ESPN for firing him with two years remaining on his contract, The Post reports. What's next for Bortles after Jags release?